Hammond, LA – In the wake of Hurricanes Harvey and Irma, hundreds of reserve Marines were mobilized to help the citizens of Florida and Louisiana. On November 1st when oyster season opened in Texas, many oyster fishermen were still struggling to recover from the damage they sustained during Hurricane Harvey. Now, there’s a Marine Reservist who wants to give them some help. 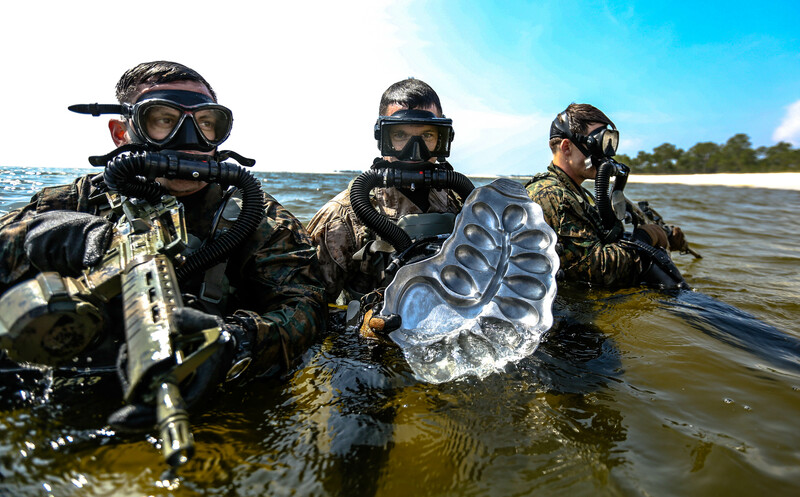 Major Tommy Waller, the outgoing Executive Officer at 3d Force Reconnaissance Company, and his brother Adam, launched a product called “The Oyster Bed” by crowdfunding three years ago with what was, at the time, the highest performing Kickstarter campaign in Louisiana history. Since then, their company has been supporting oyster shell recycling programs around the country in an effort to help preserve the nation’s coastal estuaries. Taking Chef Brody’s suggestions, Tommy and Adam teamed up to design an innovative new cooking platter they called “The Steak Bed” – which is sized perfectly to cook and serve any variety of steak (or seafood) and even features a shallow well for au jus (the juices of the steak)! Just as the brothers were finishing their design plans for this new product, Hurricane Harvey headed straight toward the Texas coast. As Tommy packed his rucksack to prepare to mobilize with his reserve unit, he called his good friend in Texas – Raz Halili – owner of Prestige Oysters – and offered his support and prayers. It turned out, though, that Raz was the one doing the rescuing in Texas after the storm, earning the title #RescueBae and warming hearts across the nation. After the storm, The Oyster Bed brothers teamed up with Raz and The Gulf Seafood Foundation to use the launch of The Steak Bed to raise money for affected oyster fishermen. The Oyster Bed LLC has created a coupon code named “Recovery” that will save customers 10% on orders from The Oyster Bed’s Website and for every use of this code, they will make a $5 donation to do the Foundation. The Steak Bed will be available by Veteran’s Day 2017 and The Oyster Bed brothers hope that sales of the product will enable them to make a sizeable donation to the Gulf Seafood Foundation by Thanksgiving! To see The Steak Bed in action and to find out more about its availability, visit The Oyster Bed’s Facebook Page!